Silver Cross invented the world’s first baby carriage in 1877—with over 140 years of safely and fashionably toting around babies in high-quality classic coach prams (Princess Kate even uses their Balmoral Pram for her three kiddos), Silver Cross now also makes strollers for the modern parent on the go. 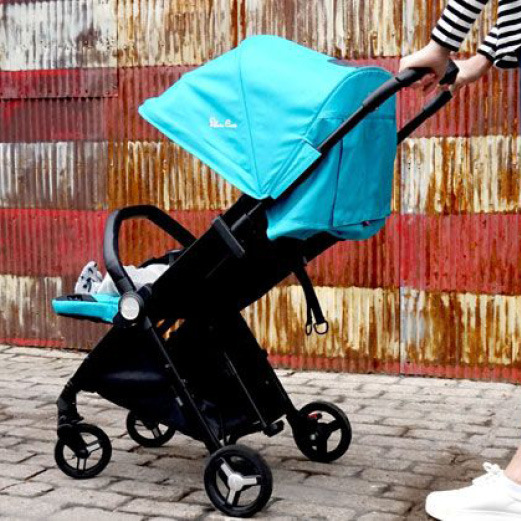 You’ll will their newest stroller, the Jet, an ultra-lightweight, compact stroller that can be used from birth up to 40 pounds. It’s packed with premium features including an extended canopy with peek-a-boo window, a dynamic suspension system for a super smooth ride, protective sleeve, and rain cover, and even better? It folds up small enough to fit in an airplane’s overhead bin. Here’s to traveling light(er)! Find out more about Silver Cross. Cybex has long been a parent-favorite for safety and innovation in Europe (and we’ve been big fans of their infant car seats which have been available in the US for a while now). So when they announced they were launching (finally!) a convertible car seat here, we knew we were in for a treat. You’ll win their new, award-winning convertible car seat that features SensorSafe™ 2.0 technology in the chest clip to alert you of an unsafe situation. is a safety game-changer. It also boasts other outstanding safety features like linear side impact protection system and an energy-absorbing shell. Find out more about Cybex. Family owned and operated, Dream on Me makes designing your nursery a piece of cake. From vintage to post-modern to fantasy (and everything in between) they’re sure to have something that will fit all of those images you’ve been saving on Pinterest. Combining form, function, and safety, Dream on Me’s pieces are beautifully designed and created, with some collections specifically designed to evolve from babyhood to adulthood. 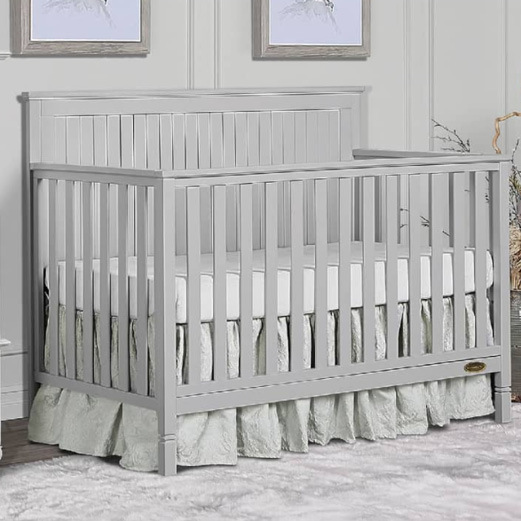 You’ll win their Alexa 5-in-1 convertible crib, Jax universal changing table, and a made-in-the-USA GREENGUARD Gold certified crib mattress—perfect for completing your nursery set-up. The “is he or isn’t he asleep” angst of new (and not-so-new parents) isn’t novel. Parents are notorious for being glued to their monitors, trying to keep tabs on their tot’s every move. And one lucky winner will take home a Nanit wall mount, multi-stand, plus a 1-year subscription of Insights. Created by a team of scientists, parents, and designers, Nanit is the only video monitor that uses machine learning and computer vision algorithms to track and understand newborn sleep. 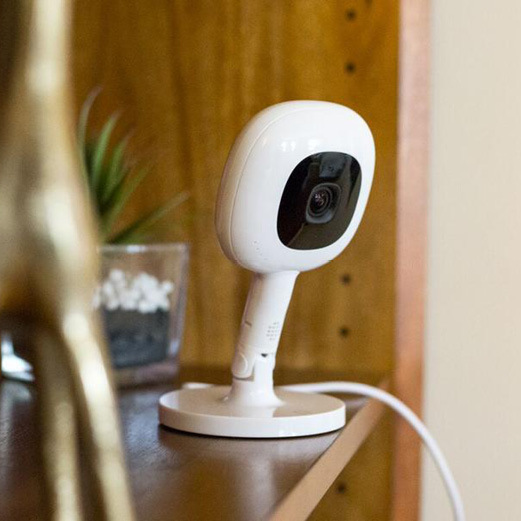 And if that isn’t enough, it also features an unparalleled bird’s eye view, stunning HD live views, smart cable management, a built-in nightlight, and sensors to measure temperature and humidity. Find out more about Nanit. New parents love seeing those adorable fingers and toes exploring their new world, and this activity package from Skip Hop is a great start! Offering hours of adorable playtime with lots engaging textures and sounds, the Farmstand Gym helps little ones learn and develop; it also grows with your kiddo—the soft play mat has sides that fold up to create an enclosed play space and the removable arches convert to a growth chart. Once your baby gets a little bigger, we’ve included Skip Hop’s new fold-away jumper, complete with over 20 developmental activities that folds flat for fuss-free storage. Find out more about Skip Hop. As any mom or dad who baby wears will tell you, comfort is a key. Though there are many carriers and types on the market, we love the simplicity and hip, gorgeous patterns from Tula. And their new Explore Carrier is no exception. 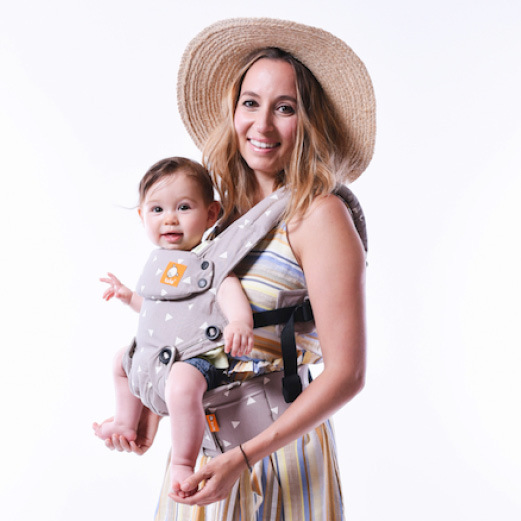 It allows you to carry your little one in three positions and features an innovative body panel that adjusts the width; it also can be used from 7-45lbs without an infant insert. All of Tula’s baby and toddler carriers are ergonomic and easy to use and include those nice extras, like a removable hood to protect your baby and a front pocket on the hip belt for your keys, wallet, and/or paci. We also love that they are handmade from 100% cotton canvas and are machine-washable. Find out more about Tula. Because parenthood is sometimes (ok, most of the time) chaotic, we always applaud companies that make our lives a bit simpler while being both stylish and practical. Ju-Ju-Be makes quality, super durable diaper bags for parents that transition smoothly from the park to the office to even date night! You’ll win the gorgeous Everyday Tote from their new Ever Collection, handcrafted with durable, vegan leather, custom brushed-metal hardware, beautiful accents, and a bevy of interior organization—sure to last you for years to come. And in addition to a lifetime warranties on all bags, each portion of a sale from Ju-Ju-Be is donated towards breast cancer research and awarness. Win-win. Find out more about Jujube. 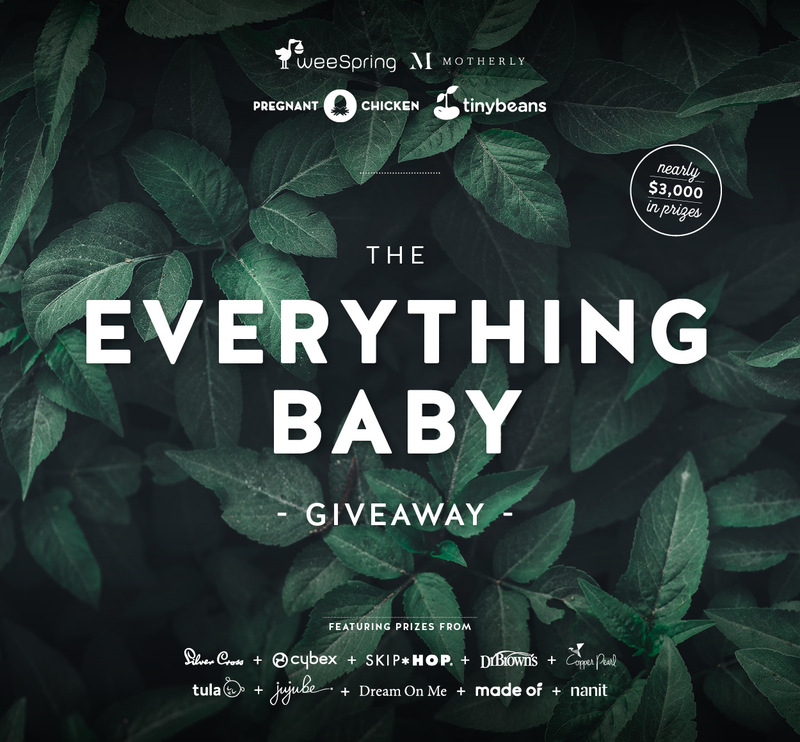 MADE OF’s mission is to provide new parents with simple, organic-first and safe-everyday baby products—without exploiting their pockets and time (which sounds pretty ideal to us!). 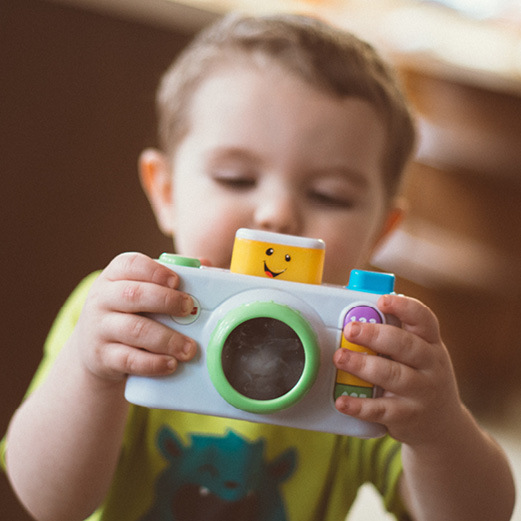 They believe that by being super transparent about their sourcing, manufacturing, testing, handling, and certifications, it results in safer products for your little ones (and your home, too). A certified B Corporation, they are the first and only brand to be NSF Organic certified across everything they make (and are also USDA organic certified, vegan, gluten- and cruelty-free). 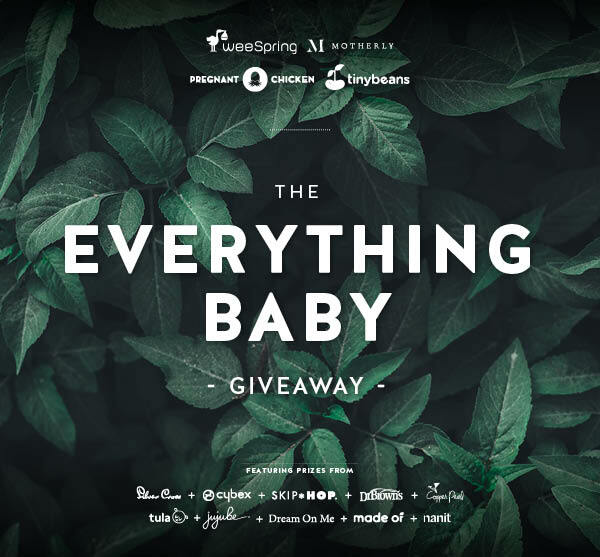 You’ll win a $200 gift card to be used on any of their bath and body, diapering, skin care, or cleaning product options. Find out more about made of. Made for moms by moms, Copper Pearl makes adorable, stylish, and practical accessories for you and baby. 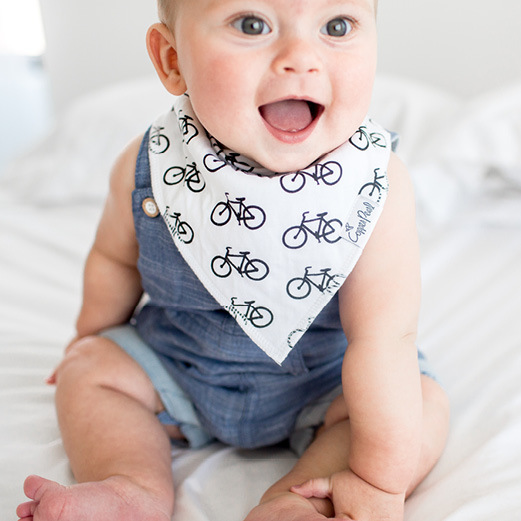 From bandana bibs to 5-in1- multi-use covers to blankets and more, these thoughtfully designed pieces are made with only the highest quality ingredients, so you can feel good about what you’re putting on, or next to, you and your baby. With a wide selection of super cute and trendy designs available, it’s certain you’ll find more than a few things to round out your nursery needs with a $150 gift card. Find out more about Copper Pearl. Nursing your baby can be frustrating, overwhelming, uncomfortable, and for some mamas, panic-inducing. Fortunately, you can turn to Dr. Brown’s for products specifically designed to support you (and your little one) at every stage. 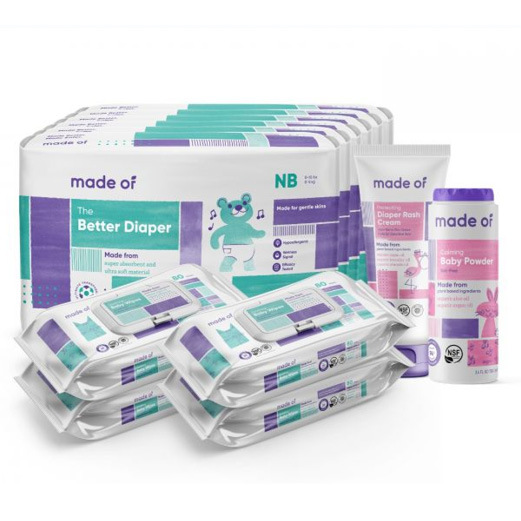 Created in partnership with parents and medical experts, Dr. Brown’s new additions to the feeding support line are sure to help you on your feeding journey. You’ll win Rachel’s Remedy natural breast relief packs and antimicrobial breast pads, Dr. Brown’s disposable breast pads, a Breast to Bottle slow feeding set, Dr. Brown’s Happy Paci, the Gia angled feeding pillow, breastmilk storage bags, and the Dreamgenii pillow. Find out more about Dr. Brown’s. Tinybeans online journal and app makes it simple to snap a photo and save a sweet memory each day, even when you’re on the go. Their calendar organizes the daily details and milestone events, from the big (finger-painting the couch) to the small (eating peas for the first time). You can easily and safely share your online journal with family and friends—they can comment and even add their own moments—perfect for grandparents and caregivers. Better yet, you can take those memories from the computer to the coffee table with custom printed photo books. You’ll win a lifetime subscription and a 6-month custom photo book. Find out more about Tiny Beans. Prize value is $2,807.22. For more information, please see our terms and conditions.